фитопланктон, конкуренция, органический и неорганический азот, освещенность. 1. Mantoura R.F.C., Owens N.J.P., Burkill P.H. Nitrogen biogeochemistry and modeling of Carmarthen Bay // Nitrogen cycling in coastal marine environments. N.Y.: Wiley, 1988. P. 415—441. 2. Zehr J., Ward B. Nitrogen cycling in the ocean: new perspectives on processes and paradigms // Appl. Environ. Microbiol. 2002. Vol. 68. P. 1015—1024. 3. Falkowski P.G., Raven J.A. Aquatic photosynthesis. Malden: Blackwell Science, 1997. 375 p.
4. Ильяш Л.В., Житина Л.С., Федоров В.Д. Фитопланктон Белого моря. М.: Янус-К, 2003. 168 c.
6. Berg G.M., Glibert P.M., Lomas M.W., Burford M. Organic nitrogen uptake and growth by the chrysophyte Aureococcus anophagefferens during a brown tide event // Mar. Biol. 1997. Vol. 129. P. 377—387. 7. Berg G.M., Balode M., Purina I., Bekere S., Bchemin C., Maestrini S.Y. Plankton community composition in relation to availability and uptake of oxidized and reduced nitrogen // Aquat. Microb. Ecol. 2003. Vol. 30. P. 263—274. 8. Berman T., Chava S. Algal growth on organic compounds as nitrogen sources // J. Plankton Res. 1999. Vol. 21. 10. Berman T., Bronk D.A. Dissolved organic nitrogen: a dynamic participant in aquatic ecosystems // Aquat. Microb. Ecol. 2003. Vol. 31. P. 279—305. 11. LaRoche J., Nuzzi R., Waters R., Wyman K., Falkowski P.G., Wallace D.W.R. Brown tide blooms in Long Island’s coastal waters linked to interannual variability in groundwater flow // Global Change Biol. 1997. Vol. 3. P. 101—114. 12. Glibert P.M., Terlizzi D. Cooccurrence of elevated urea levels and dinoflagellate blooms in temperate estuarine aquaculture ponds // Appl. Environ. Microbiol. 1999. Vol. 65. P. 12. 13. Запара Е.В., Белевич Т.А., Ильяш Л.В. Конкурентные отношения между планктонными водорослями Белого моря при разных источниках азота // Журн. общ. биол. 2007. T. 68. № 3. C. 195—204. 14. Ильяш Л.В., Запара Е.В. Конкуренция двух морских диатомовых водорослей за азот мочевины и нитратов при трех уровнях освещенности // Журн. общ. 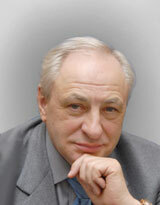 биол.2006. T. 67. № 6. C. 464—475. 15. Huppe H.C., Turpin D.H. Integration of carbon and nitrogen metabolism in plant and algal cells // Ann. Rev. Plant Physiol. Plant Mol. Biol. 1994. Vol. 45. N 3. P. 577—607. 16. Максимова М.П. Гидрохимия Белого моря // Гидрометеорология и гидрохимия морей СССР. 1991. Т. 2. Белое море. Ч. 1. М., 1991. C. 8—193. 17. Конопля Л.А. Вертикальное распределение фитопланктона Карельского побережья Белого моря // Океанология. 1973. Т. 13. № 2. C. 314—320. 18. Guillard R.R.L., Ryther J.H. Studies on marine diatoms. I. Cyclotella nana Hustedt and Detonula confervacea (Cleve) Gran. // Can. J. Microbiol. 1962. Vol. 8. P. 229—239. 19. Ryther J., Dunstan W.M. Nitrogen, phosphorus and eutrophication in the coastal marine environment // Science. 1971. Vol. 171. P. 1008—1013. 20. Федоров В.Д. О методах изучения фитопланктона и его активности. М.: Изд-во Моск. ун-та, 1979. 165 с. 21. Hillebrand H., Durselen C.D., Kirschtel D., Pollingher U., Zohary T. Biovolume calculation for pelagic and benthic microalgae // J. Phycol. 1999. Vol. 35. P. 403—424. 22. Menden-Deuer S., Lessard D.J. Carbon to volume relationships for dinoflagellates, diatoms, and other protest plankton // Limnol. Oceanogr. 2000. Vol. 45. P. 569—579. 23. Clarke K.R., Warwick R.M. Change in Marine Communities: An Approach to Statistical Analysis and Interpretation. 2 nd edition: PRIMER-E. Plymouth: Plymouth Marine Laboratory, 2001. 172 p.
24. Sommer U. Phytoplankton competition in Plu see: A field test of the resource-ratio hypothesis // Limnol. Oceanogr. 1993. Vol. 38. P. 838—843. 25. Sommer U. The impact of light intensity and day lengthon silicate and nitrate competition among marine phytoplankton // Limnol. Oceanogr. 1994. Vol. 39. P. 1680—1688. 26. Makulla A., Sommer U. Relationships between resource ratios and phytoplankton species composition during spring in five north German lakes // Limnol. Oceanogr. 1993. Vol. 38. P. 846—856. 27. Hegarty S., Villareal T.A. Effect of light level and N: P supply on the competition between Phaeocystis cf. pouchetii (Hariot) Lagerheim (Prymnesiophyceae) and five diatom species // J. Exp. Mar. Biol. Ecol. 1998. Vol. 226. P. 241—258. 28. Tilman D. Resource competition and community structure. Princeton: Princeton Univ. Press, 1982. 296 p.
29. Ben-Amotz A., Shaish V., Avron M. Mode of action of the massively accumulated -carotene of Dunaliella barda wilin protecting the alga against damage by excess irradiation // Plant Physiol. 1989. Vol. 91. P. 1040—1043. 30. Kolber Z., Zehr J., Falkowski P.G. Effects of growth irradiance and nitrogen limitation on photosynthetic energy conversion in Photosystem II // Plant. Physiol. 1988. Vol. 88. P. 923—929. 31. Herzig R., Falkowski P.G. Nitrogen limitation in Isochrysis galbana (Haptophyceae). Photosynthetic energy conversion and growth efficiencies // J. Phycol. 1989. Vol. 25. P. 462—471. 32. Prezelin B.B. Light reactions in photosynthesis. Physiological bases of phytoplankton ecology // Can. Bull. Fish. Aquat. Sci. 1981. Vol. 210. P. 1—12. 33. Sukenik A., Bennett J., Mortain-Bertrand A., Falkow ski P.G. Adaptation of the photosynthetic apparatus to irradiance in Dunaliella tertiolecta // Plant Physiol. 1990. Vol. 92. P. 891—898. 34. Granili E., Carlsson P., Legrand C. The role of C, N and P in dissolved and particulate organic matter as a nut rient source for phytoplankton growth, including toxic species // Aquat. Ecol. 1999. Vol. 33. P. 17—27. 35. Berg G.M., Glibert P.M., Lomas M.W., Burford M. Organic nitrogen uptake and growth by the chrysophyte Aure ococcus anophagefferens during a brown tide event // Mar. Biol. 1997. Vol. 129. P. 377—387. 36. Mulholland M.R., Lee C., Glibert P.M. Extracellular enzyme activity and uptake of carbon and nitrogen along an estuarine salinity and nutrient gradient // Mar. Ecol. Prog. Ser. 2003. Vol. 258. P. 3—17. 37. Smith G.J., Zimmerman R.C., Alberte R.S. Molecular responses of diatoms to variable levels of irradiance and nitro gen availability: Growth of Skeletonema costatum in simulated upwelling conditions // Limnol. Oceanogr. 1992. Vol. 37. N 5. P. 989—1007. 38. Paasсhe E. Effect of ammonia and nitrate on growth, photosynthesis, and ribulosodiphosphate carboxylase content of Dunaliella tertiolecta // Physiol. Plant. 1971. Vol. 25. P. 294—299. 39. Thompson P.A., Levasseur E., Harrison P.J. Lightlimited growth on ammonium vs. nitrate: What is the advantage for marine phytoplankton? // Limnol. Oceanogr. 1989. Vol. 34. P. 1014—1024. 40. Williams S.K., Hodson R.C. Transport of urea at low concentrations in Chlamydomonas reinhardtii // J. Bacteriol. 1977. Vol. 130. P. 266—273. 41. Rees T.A.V., Syrett P.J. The uptake of urea by the diatom Phaeodactylum // New Phytol. 1979. Vol. 82. P. 169—178. 42. McCarthy J.J. The uptake of urea by natural populations of marine phytoplankton // Linmol. Oceanogr. 1972. Vol. 17. N 5. P. 738—748. 43. Uchida T. The relationships between Prorocentrummicans growth and its ecological environment // Sci. Pap. Inst. Algol. Res. Fac. Sci. Hokkaido Univ. 1981 .Vol. 7. N 1. P. 17—76. 44. Taylor G.T., Gobler C.J., Sanoudo-Wilhelmy S.A. Speciation and concentrations of dissolved nitrogen as deter minants of brown tide Aureococcus anophagefferens bloom initiation // Mar. Ecol. Prog. Ser. 2006. Vol. 312. P. 67—83. 45. Fan C., Glibert P.M., Lomas M.W. Characterization of urease activity in three marine phytoplankton species, Aureococcus anophagerefferens, Prorocentrum minimum, and Thalassiosira weissflogii // Mar. Biol. 2003. Vol. 142. P. 949—958. 46. Collos Y., Vaquer A., Bibent B., Slawyk G., Garcia N., Souchu P. Variability in nitrate uptake kinetics of phytoplankton communities in a Mediterranean coastal lagoon // Estuar Coast Shelf Sci. 1997. Vol. 44. P. 369—375. 47. Paerl H.W. Ecophysiological and trophic implications of light-stimulated amino acid utilization in marine picoplankton // Appl. Environ. Microbiol. 1991. Vol. 57. P. 473—479. Ильяш Л.В., Запара Е.В., Белевич Т.А. СТРУКТУРА СООБЩЕСТВА ПЛАНКТОННЫХ ВОДОРОСЛЕЙ БЕЛОГО МОРЯ В ЗАВИСИМОСТИ ОТ ОБЕСПЕЧЕННОСТИ АЗОТОМ В ОКИСЛЕННОЙ ИЛИ ВОССТАНОВЛЕННОЙ ФОРМАХ И УРОВНЯ ОСВЕЩЕННОСТИ. Вестник Московского университета. Серия 16. Биология. 2011;(3):29-37.